For years now Ardnet Online Solutions have been providing sponsorship help and support to international powerboat event Ribraid. 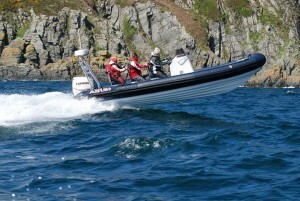 International Ribraid was first started over ten years ago to allow powerboat owners the opportunity to take on challenges and longer distance cruises in the safe knowledge that they are amongst other boats. The Ribraid has taken “Ribsters” to Inland waterways in Ireland, Scottish Islands and well as the mainland and the Isle of Man, and this years Island event guarantees a great time for everyone taking part. Cruising from Pier 36 in Donaghadee the Ribraid will visit The Slip Portaferry for lunch before crossing the Irish Sea to Port St Mary on the southern side of the Isle of Man in the Afternoon, following an overnight stay the boats will return to Northern Ireland on Sunday afternoon. Ardnet Online Solutions provide website hosting and design, online event management and promote to Ribraid and this year Ardnet Founder Andrew Kane will be bringing his own boat Bullit to the event. For more information please visit www.ribraid.com.